The big market moving event this week on this side of the Atlantic is the FOMC meeting, which concludes on Wednesday with a statement, followed by a press conference by Fed chair Jerome Powell. Ahead of that event, let us consider what market expectations are for Fed policy. 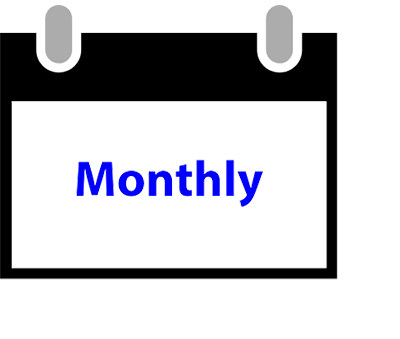 The CME’s Fedwatch Tool shows that the market does not expect any rate hikes for the remainder of 2019, and a slight chance of a cut by the December meeting. What about the size of the balance sheet? 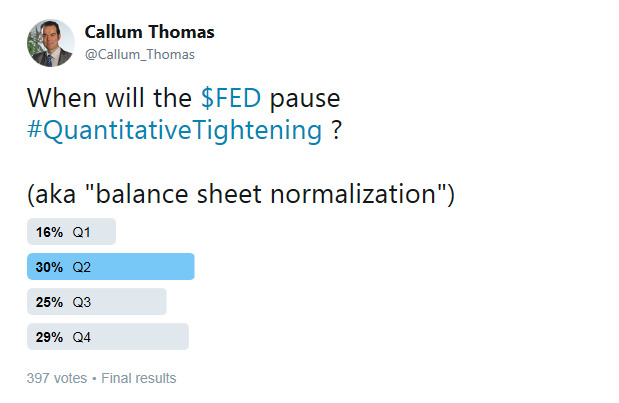 Callum Thomas conducted an unscientific Twitter poll last week that asked respondents when they expect the Fed to pause quantitative tightening, or QT. The biggest response was Q2, followed by answers in Q3 and Q4 later this year. As we approach the FOMC meeting, investors have to be prepared for excessively dovish expectations from Fed policy. Ed Yardeni had already anticipated a hawkish dot-plot, but he believes Powell will downplay its message and its usefulness in the press conference. In his speech, Powell reviewed two previous instances. In 2014, the dots caused “collateral confusion,” according to the then Fed Chair Janet Yellen, when the markets misread the Fed’s intentions. She stated that what matters more than the dots is what is said in the FOMC Statement released after each meeting. The other market concern has been the pace of balance sheet normalization, otherwise known as quantitative tightening. Chairman Powell made his views clear in a speech on March 8, 2019. He prefaced his remarks with the criteria that balance sheet reduction will stop when it is consistent with the Fed’s task of conducting monetary policy, or the size of the banking system’s reserves. The Committee has long said that the size of the balance sheet will be considered normalized when the balance sheet is once again at the smallest level consistent with conducting monetary policy efficiently and effectively. Just how large that will be is uncertain, because we do not yet have a clear sense of the normal level of demand for our liabilities. Current estimates suggest, however, that something in the ballpark of the 2019:Q4 projected values may be the new normal. The normalized balance sheet may be smaller or larger than that estimate and will grow gradually over time as demand for currency rises with the economy. In all plausible cases, the balance sheet will be considerably larger than before the crisis. When will the balance reach that level? With the usual caveats about data dependency, the answer is “later this year” [emphasis added]. While the precise level of reserves that will prove ample is uncertain, standard projections, such as those in the table, suggest we could be near that level later this year. As we feel our way cautiously to this goal, we will move transparently and predictably in order to minimize needless market disruption and risks to our dual-mandate objectives. The Committee is now well along in our discussions of a plan to conclude balance sheet runoff later this year. Once balance sheet runoff ends, we may, if appropriate, hold the size of the balance sheet constant for a time to allow reserves to very gradually decline to the desired level as other liabilities, such as currency, increase. We expect to announce further details of this plan reasonably soon. 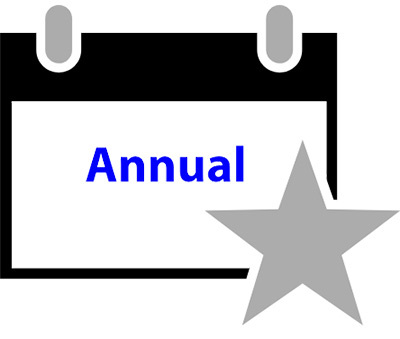 After holding the size of the balance sheet roughly flat since mid-2014, once the normalization of the federal funds rate was deemed well under way in October 2017, the Committee started to allow the size of the balance sheet to shrink in line with the pledge to “hold no more securities than necessary to implement monetary policy efficiently and effectively.” We have made substantial progress, as demonstrated by the level of reserves. Reserves are already down by 40 percent since their peak and are likely to be down by more than half this summer. In my view, asset redemptions should come to an end later in the year, which would provide a sufficient buffer of reserves to meet demand and avoid volatility. We have gathered information from market contacts and have surveyed banks to assess their demand for reserves.17 I would want to see a healthy cushion on top of that to avoid unnecessary volatility and ensure that the federal funds rate will be largely insulated from daily swings in factors affecting reserves. The message from Fed speakers could not be more clear. Expect an end to QT later this year, which means either Q3 or Q4. If the modal response of Q2 from the Callum Thomas is reflective of market expectations, then investors should be prepared for a hawkish surprise. What about inflation? The Fed has made it clear that as long as inflationary expectations remain tame, they are likely to remain on hold. However, CPI trends are a little unsettling. 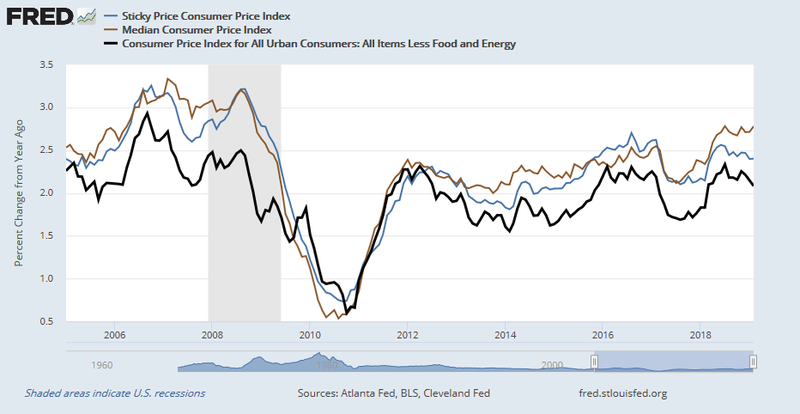 While core CPI (black line) has moderated a bit, both median CPI and sticky price CPI are stubbornly firm, with median CPI standing at or near cycle highs. Any hint of renewed growth could serve to elevate inflation and inflationary expectations again. 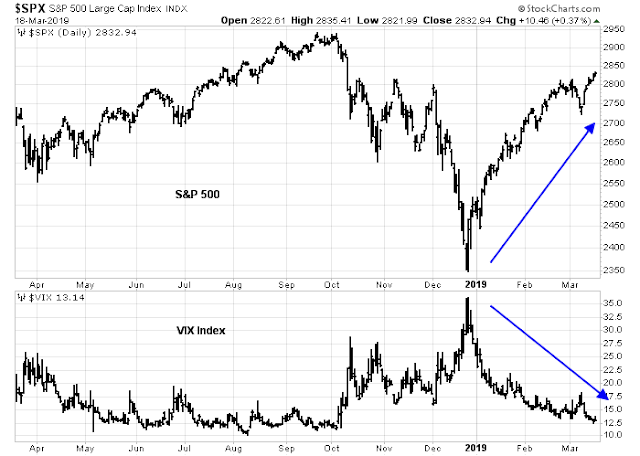 In addition, if the Fed’s recent dovish about face was in response to market conditions, then both stock prices and volatility have normalized. In that case, why should the Fed continue its course of excessive dovishness? In conclusion, market expectations for both interest rate policy and balance sheet reduction appear to be excessively dovish in light of the data, and recent Fedspeak. Investors should be prepared for a hawkish surprise from Fed policy. Okay, call me stupid, but when you state “Investors should be prepared for a hawkish surprise”. How might the market react to that scenario? Cam, is your stop loss policy on the current short predicated on this potential Fed outcome? Yes. I would like to see the post-FOMC market reaction.